Showing results for tags 'squad'. EN: Team TGV is a multigaming community that only accepts players above 25 y/o. The team has had an Arma 3 MilSim section from the start but is very often under-staffed and we wish to expand our player base. Please note that the team only accepts fluent French speakers (you do not have to be a native though). Frontline is a PvP mod that brings the same structured teamwork orientated gameplay found in games such as Project Reality, Squad and the Tactical Battlefield mod back to Arma 3. The aim is to create a set of realistic game mechanics and systems that puts the responsibility on the players to play as a team to win. The majority of the features of the mod will be very familiar to players of the aforementioned games/mods. Roles and squads Commander features and command structure Rally points and forward outposts Weapon re-balance, smoke and particle rework Defensive structures construction Vehicles and assets become available at specific player numbers. Medical system Custom suppression effects Squad radar Spotting system Heavily modified and enforced TFAR version 3D Interaction (Easier door opening, ladders and more) Vehicle Maintenance Freakishly simple 2-clicks-from-vanilla-arma-to-being-screamed-at-by-your--squadleader launcher. Excellent performance relative to other game-modes that have large player numbers Smooth and polished interface and systems AI fighters only for when the server is waiting for actual players to join But why is it called Frontline? Because we fight on the Frontline! Gone are the days of fighting over arbitrary buildings and locations, now territory is king. You decide what locations are tactically relevant the whole battlefield is your playground. Push the Frontline by taking and holding ground, the team with the most territory bleeds the other of tickets, the more territory the faster the bleed. The Frontline constantly updates and flows with the shape of the battle forces the teams to play together, communicate and fight in a realistic manner. Flank enemy squads to cut them off from reinforcement and supply, probe for undefended gaps in the Frontline and breakthrough. Timelapse 40x speed of a battle (youtube) Typical reaction of a player seeing the frontline for the first time At the moment the mod is played in conjunction with either RHS or Iron Front mods . The only place to play it is on the server run by the development team (this will change as the player-base expands). The mod and it's dependencies are available on steam workshop. If you have any problems installing please use the launcher we made. It's idiot proof. The steam workshop is there because people wanted it, and it works just fine, but we will only support/help people installing with the launcher. Details of the launcher in the second post of this thread and you can get it on the website. The server also uses CUP terrains, Kunduz and some custom terrains that are all in the mod pack delivered by the launcher. Teamspeak is mandatory because of the mod-integrated Task Force Radio, but even if you don't have TS, the launcher will help you install teamspeak, take care of all the TFR plugins, open the frontline teamspeak, put you in the right channel, open TrackIR if you have it, launch Arma, put you into the server, and make you a nice cup of tea just the way you like it.) 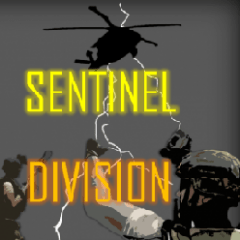 We have a website here frontline-mod.com but nearly all interaction with/between the community is on the discord On the discord we discuss feedback, trash-talk and organize events and playing times. We play at specific times, we don't yet have the player-base to have spontaneous games so we set specific game nights to get bigger games with more players and combined assets unlocked. So yes the server is empty most of the time, and no that does not mean the mod is dead. Come to the discord to find the time of the next fight, but right now it is every Wednesday (RHS), Saturday (RHS) and Sunday (Iron Front) at 1800GMT. Some background on the development: The mod has been in development for several years now, starting with a sub-section of the dev team that developed Tactical Battlefield. The SQF coding is built on top of the framework made by the AAW team. The tech behind the Frontline itself is something entirely unique to this mod. A whole Python extension framework has been built from scratch just to be able to execute our Python code on the server that takes care of "capturing" the terrain and computes a realistic frontline based on the situation in the AO. On a side note: we're quite proud of how we implemented it. In fact, we're so proud of our ingenious tricks used that we're currently (early 2018) going to Python conferences and giving talks about the gamemode. Its pretty cool stuff and as the bonus of fantastic performance. Introduction Established on 10/7/18 the 3rd Battalion 4th Marines aims to provide a unique experience to those interested in a Vietnam Era Unit. We pride ourselves in being a Serious but fun unit which likes to include a realistic and unique experience into our Operations. What We Offer While we are currently looking for more infantry focused players we do offer Air Crewman roles as our Pilots are currently full but when we do expand we will take your interest into consideration over new people. We also like to provide unique and immersive operations which allow you to live out your dream character as long as it makes sense and follows our Rules. Ranks and promotion points so you can rise up the ladder, but most importantly we offer a kind and welcoming community that will help you when needed and is always there for you! Positions Infantry Roles ♣️ While we currently are a new unit we do offer limited roles but as we expand new roles will be added. Do keep in mind this does also apply to the AirCorp Roles. - Machine Gunner - Rifleman - Grenadier - Lead positions ( Must talk to Commanding officers if you wish to become a lead position when joining ) Air Corp Roles ? - Heli Pilots ( FULL ) - Air Crewman ( Doorgunners ) - 1x ATC Operator How to Join Feel free to either add me on Steam or leave a comment but the most efficient way would be through our teamspeak! TS - 68.232.187.186:9001 Website - https://3rdbattalion4thmarines.enjin.com/ " Ready For All, Yielding to None"
Looking for a few people to team up with if anyone is interested ? GT ilauchlan Hit me up if you are interested ! Thought in regards to squad play: Would it be an idea to have X number (possible 4 squads of 4 due to map size) of squads all competing for one loot crate, they can either run to the loot crate and quickly extract (giving each squad member an item) or they could brawl it out to take the loot the other squads bought with them and extract (or carry on for the loot crate). Take all other loot off the map. The only loot available is what the players bring in or the golden shiny loot crate in the middle of the map! Would love to hear what people think of this. 173rd Airborne Brigade Recruiting Now! 173rd Airborne Brigade Combat Team Milsim Have you ever wanted to jump out of an airplane, or air assault an enemy position? Have you ever wanted to participate in company-sized light infantry operations? Then look no further, the 173rd may be just right for you! 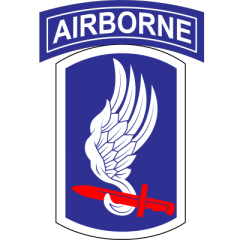 Overview The 173rd Airborne prides itself in being the distinct and go-to unit for airborne & light infantry operations. Our goal is to offer authentic experience based on real US Army standards without sacrificing the game play. Who We Are The 173rd Airborne (the "Unit") is an established MilSim unit based on the real-world 173rd Airborne Brigade Combat Team, an airborne infantry brigade combat team of the United States Army currently based in Vicenza, Italy. The Unit is based in the Central Standard Time zone and all unit events are scheduled and quoted in CST (GMT-6). Our Unit prides itself in being the premier airborne & light infantry MilSim unit in the Arma 3 community. 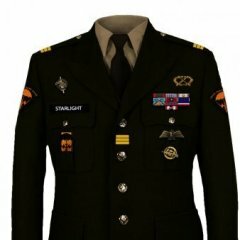 We retain this reputation by effectively implementing realism mods for communications, equipment, textures, and interfaces, while simultaneously executing meticulously planned and designed operations which keep our soldiers engaged, challenged, and entertained. The Unit works very hard to embody and honor the real-world 173rd Airborne Brigade Combat team by employing real-world fighting tactics and other features of U.S. military doctrine. One of the keys to the success of the Unit is division of responsibilities and mechanisms for ensuring accountability. There is a lot of work to be done, and our members keep the lights on by completing administrative work in an accurate and timely manner. To continue ranking up in the Unit soldiers are required to volunteer their efforts on an administrative staff. These staff positions manage tasks such as personnel tracking, security and monitoring of public Unit assets, mission planning, mod/texture building/maintenance, soldier training, community outreach, media/illustration asset development, enlistment and applicant processing, and community administration. On an on-going and continuously impressive basis these different administrative staffs coordinate and accomplish their objectives, keeping the Unit organized and headed in the right direction. Unit History The Unit was formed on November 18th, 2012. The founding members included actual military personnel as well as military enthusiasts and FPS gamers. The Unit was originally formed as an Arma 2 MilSim. The Unit officially transitioned to Arma 3 on October 12th, 2014. The switch from Arma 2 to Arma 3 brought about some growing pains as soldiers slowly followed the Unit to the new platform but by the end of 2014 the unit had grown substantially. The Unit took a leap forward in the summer of 2015 following the launch of its new "state of the art" website, administered by a talented base of professional and amateur programmers, with additional support coming from the senior staff members. Nothing from the original website (today affectionately referred to as "Old Grey") was ported onto the new platform. Countless man hours were put into restricting the forums, composing and publishing unit information, and transitioning dozens and dozens and dozens of personnel files, including all service and disciplinary records. Today, the Unit is larger than ever, and with its size has come the implementation of ever-more impressive technology and professional-grade web content. We are constantly looking for members who show promise and devotion to the Unit. Those soldiers are often specifically selected to serve as Senior Staff members, developers of critical Unit content, among other responsibilities. The Unit In order to accomplish our goals we offer a wide variety of training courses in which players can perfect and hone their skills. All our courses are based on the real US Army courses but designed to fit the game. As a milsim/realism unit we require role-playing during training and operations to ensure everyone has a good experience. This might all sound very serious but during our off time our milsim unit becomes a very relaxed community that enjoys a large variety of games. Where we differ from most units is that when we start official unit events we switch to our serious side and get things done. The Community The most important aspect of our unit is the community it creates. Making friendships and long lasting bonds is what keeps groups of people together and we wouldn't be here if all we did was serious milsim. We emphasize that the unit is our unit as it is ran by the whole community and not a single person. We value each and every member and everyone has a chance to contribute to better the unit. If you think this is something you want to take part in we hope you consider enlisting and experience what we have to offer. Available Positions: http://173rd.us/index.php/page/Public/positionAvailability.html Enlist Today! http://173rd.us/index.php/page/index.php?app=perscom&module=enlistment Enlistment Requirements: 1. Applicant must be at least 16 years old. 2. Applicant must be able to communicate fluently in English both verbally and in writing. 3. Applicant must own ARMA 3 and be able to play the game with additional mods. 4. Applicant must not be a member of any other MilSim unit or community that would prevent him from attending official unit events. 5. Applicant must utilize a role-play friendly name. The name with which you apply does not need to be your real name, but it must be a realistic name that can be utilized easily in combat. Applicant should have an internet connection with speeds in excess of 5Mbps downstream and 1Mbps upstream to North American servers. Test my speed NOTE: All soldiers are required to own Arma 3 Apex expansion. Looking for More Information? Check out the links below! 173rd Website http://173rd.us/ 173rd Teamspeak http://TS3.173rd.us 173rd Forums: http://173rd.us/index.php/page/Public/aboutUs Check out our Social Media Channels! Official 173rd YouTube Channel: https://www.youtube.com/channel/UCPwaXoIzJjnrfeEezJe7Kgg Official 173rd Twitch Streamers: https://www.twitch.tv/communities/173rdmilsim/details Official 173rd Reddit: https://www.reddit.com/user/173rdOfficial Official 173rd Steam: https://steamcommunity.com/app/107410/discussions/10/1727575977523379407/ Hope to see you around our teamspeak! 2nd Battalion, 75th Ranger Regiment looking for new recruits. All information can be found at: SITE: www.2ndrengersbattalion.simplesite.com GROUP: http://steamcommunity.com/groups/2ndbattalion75thrangerregiment TEAMSPEAK: 92.222.76.166:6877 More information add me on steam. Hello all I'm looking to add some challenge to a mission by having certain conditions that if breached will result in mission failure. First of all, I have a trigger that will fail the mission if the player's RTO dies. However, I also want the mission to fail if a total of three of the player's squad are killed. Additionally, I have some civilians on the map and would like the mission to fail if two are killed. Any help on achieving this would be greatly appreciated! Thanks. How to recieve orders from AI commander but keep command of squad? Hi guys, I'm aiming to build a mission where the player is a squad leader in a platoon, maintaining full control of the squad, whilst recieving orders from the AI platoon leader. I can't for the life of me work out how to place the player squad leader under the command of an AI platoon leader without having to relinquish command of the player's squadmates. I've had friends suggest using the High Command modules but I'm not understanding how an AI platoon leader would be able to use the command module as commander. It would also be great to still give the other AI squad leaders full control of their squads but that's not such a big priority. The main priority is having the AI platoon leader send orders/markers to the player and then the player can command their own squad to achieve the objective however they see fit. Any help or suggestions is much appreciated. I really should know how to do this, considering I've been an OpFlash/ArmA head since 2004! Hello, Just a couple of guys looking for a Milsim group or even a smaller squad who player on a regular, we are a duo who have played games with each other for a very long time, so are extremely effective together, we are wanting to play arma in a new light we've played in a multiple milsim groups in the past and have really enjoyed it, and would like to get back to it, so if you are needing a Sniper/Spotter team to provide overwatch for your group/team we're are the guys for you, We speak English both have working microphones and aged 24 & 28 feel free to respond to me on here or Steam: JYoung thanks for giving your time to read this, I hope to hear from you soon. What is United Frontline Operations? United Frontline Operations is a group for those who value not only the realism but the fun and the thrill that ArmA 3 has to offer. UFO consists of like-minded individuals centered around playing Arma in a serious manner. As a whole, we enjoy tactical realism in our gameplay and try to make things as serious and “down to earth” as possible. That being said, we don’t take things to the point where the fun is diminished (ranks, for example, are one thing that we do not enjoy). --- Requirements * We ask that members remain active in UFO and to interact with others the UFO community to help form stronger relationships between all players. * All members must recognize when to be serious. * Members must be able to effectively listen, interpret, and execute orders given to them in-game. * There is no official age requirement, however, if you are not mature around other community members and during gameplay sessions, you may be asked to leave the group. * English and a functioning microphone is required to be a part of UFO. * A short, simple familiarization training is required for new members to help train them in proper communication and to assure that all members can effectively accomplish their tasks on the battlefield. * While we primarily composed of members in North America and operate on EST time zones, we are open to everyone, regardless of geographical location. --- Rules 1. Listen to and follow instructions given by superiors. 2. Be a team-player, both in and out of the game. 3. Don't beg for roles or responsibilities. 4. Play the game seriously, it's not an arcade shooter. 5. Be friendly to everyone in the UFO community. --- Schedule We play twice a week, on Wednesdays and Saturdays at 19:00 EST/EDT. Every scheduled play session will consist of operations which will advance the current monthly campaign. New campaigns are introduced at the beginning of every month to keep gameplay refreshing. --- --- Additional Info If you’re interested and joining, you can join the [United Frontline Operations Discord server](https://discord.gg/hNyVSUV). If you have any other questions, feel free to [message me through Steam](http://steamcommunity.com/id/FlyawayOrange/). What ports to open for squad.xml ? <blockquote class="imgur-embed-pub" lang="en" data-id="a/DdLeF"><a href="//imgur.com/DdLeF"></a></blockquote><script async src="//s.imgur.com/min/embed.js" charset="utf-8"></script> Information No. 7 Squadron, No. 82 Wing is an Fictional Airforce unit of the Royal Australian Air Force. The original Squadron was a training squadron in World War I and a bomber squadron in World War II. The Squadron has since fictionally been reformed under No. 82 Wing as an Air Combat Squadron. We are a roleplay/milsim unit that does not aim to fully simulate the real RAAF tactics and techniques, but provide a semi-serious milsim-type environment with tactics that make sense and function with ArmA 3. Obviously, our main objective is to create a fun clan with a friendly community. No. 7 Squadron currently operates mostly on public servers and does not use any mods. Zeus will be our main game-mode. No. 7 Squadron currently has no set training or operation times, as a fresh clan. Training will typically be carried out in civilian aircraft. Recruits will move up to military aircraft after the most vital parts of their training. We will alternate between Rotary-wing and Fixed-wing Aircraft Missions, and sometimes have a mix. The founder is Australian, but we aim to recruit new and old players from all over the globe. Requirements Our requirements to join are quite straightforward. - A - preferably clear - microphone (If you plan on only playing with us as an Air Traffic Controller this is not necessary) - Age of 16 or over, exceptions apply where maturity is displayed - An operational Discord account - A good-natured mindset Links Our main communication/organisation tool, Discord, should be used to contact us. Discord Link - https://discord.gg/PednT3D ArmA 3 Unit - https://units.arma3.com/unit/7squadron Happy Hunting!